Are You a Multi-classed Father?GM? 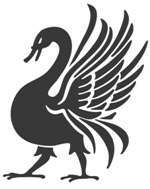 We are running a Father's Day sale at the Raging Swan Press store! Are you a multi-classed father/GM? I’m a father and a GM (although seeing as I was a GM first I am more accurately described as “male human GM/father”) and I’ve had the privilege and enjoyment of sharing my hobby and passion with my sons (the eldest of whom is now a three-year veteran of our Wednesday night campaign). That’s why Raging Swan Press is running a Father’s Day sale this weekend. If you are a Father and you’ve been thinking about sharing your hobby with your children, this is the perfect weekend to start. And I encourage you to do so with Shunned Valley of the Three Tombs a Pathfinder introductory adventure). 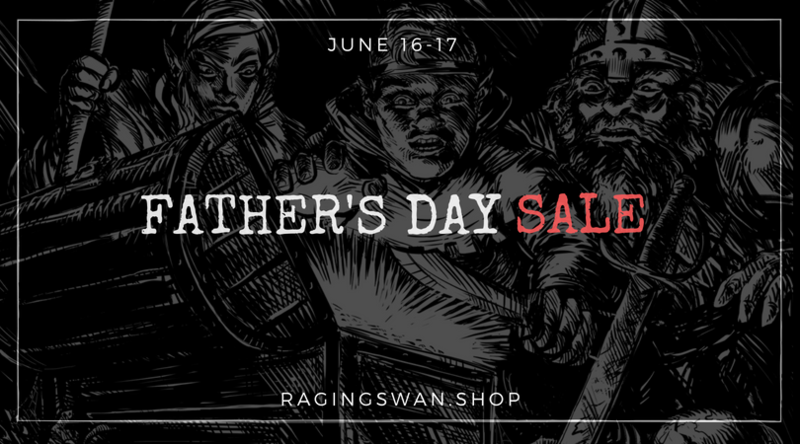 Simply enter “fathersday” (without the quotes) during check out at the Raging Swan Press store to take 25% off your entire order. Alternatively, follow this link to have the discount applied automatically. Gaming has given me so much and I’m beyond chuffed (English for happy and proud) to share it with my family. I hope you are as lucky. I think I’m more of a Father, with the DM prestige class. My 2 daughters (13 & 9) play in an all-girls group once a month. Especially with the older one, it’s quality play time that is the real treasure! With this group, I’m really appreciating how much more progressive and thoughtful the 5e rules are! I absolutely know what you mean about quality time. Imagine that—a teenager WANTING to spend time with their father! Love this. My oldest son was the one who sparked my re-interest in D&D, having been absent since 2e. Now we have a Sunday evening group for that past couple years that include my daughter 17, son 16, daughter 14, son 12, and nephew 15. It is a blast. I DM in a fairly teaching mode. They have learned, that if I ask “Are you sure?” They pause and think about their actions a little bit more.